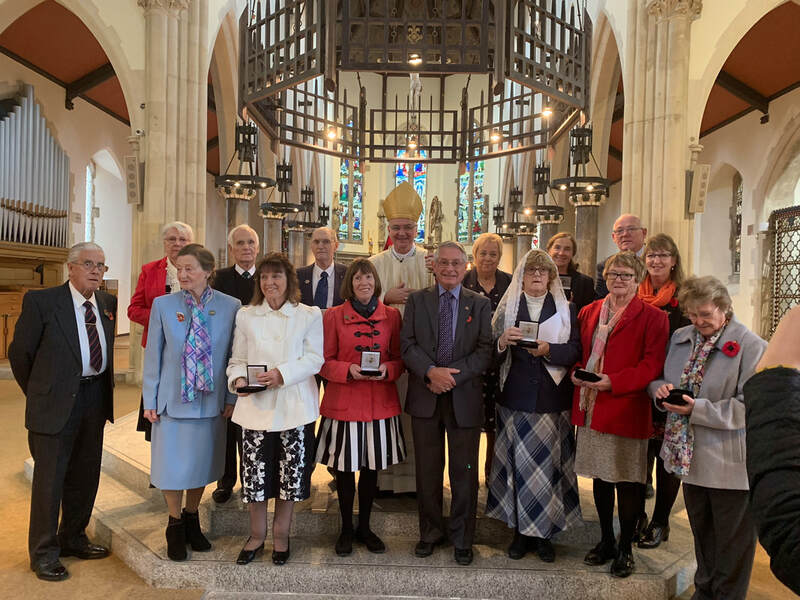 Dedicated parishioners from all over the Diocese were recognised at a special Mass in the Cathedral on Saturday 3 November. 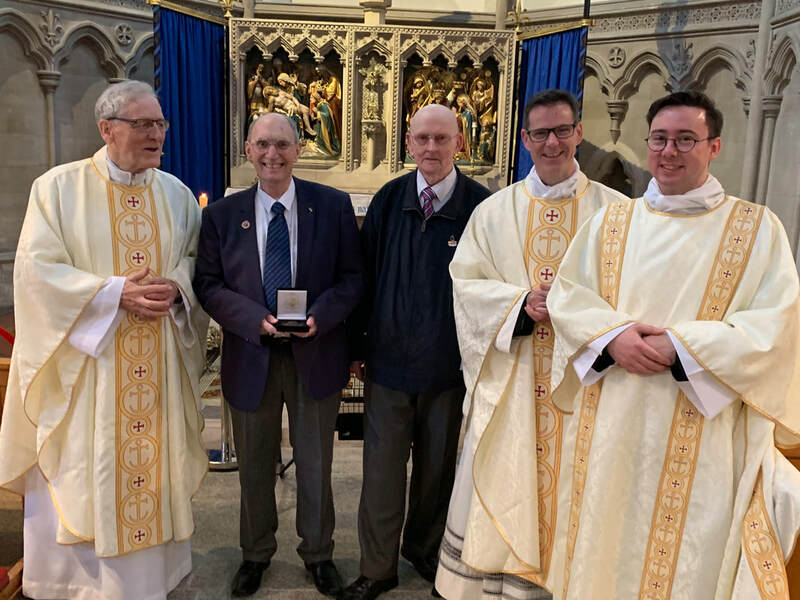 The St Boniface Medal recognises dedicated service to the Diocese and is awarded annually. 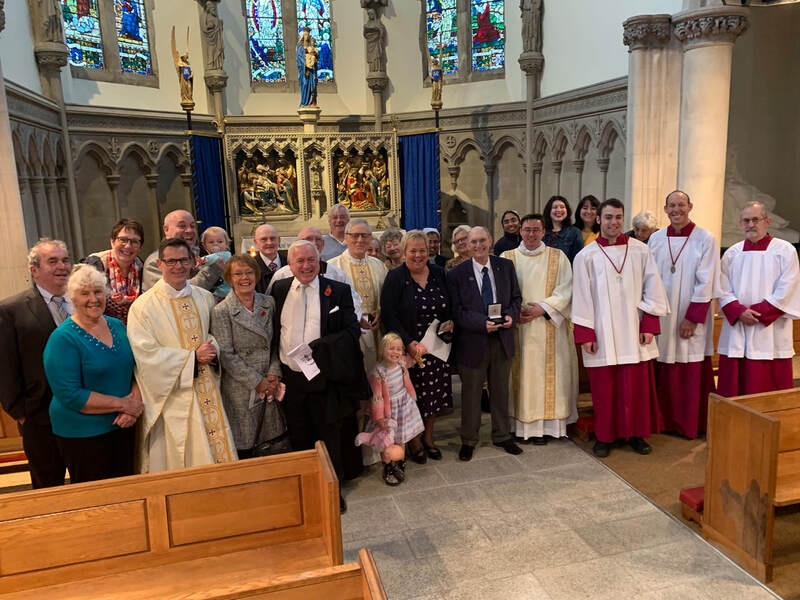 Michael Stratford and Belinda O'Hara, from the Cathedral Parish, received their Diocesan Medal, along with a number of people from across the diocese. 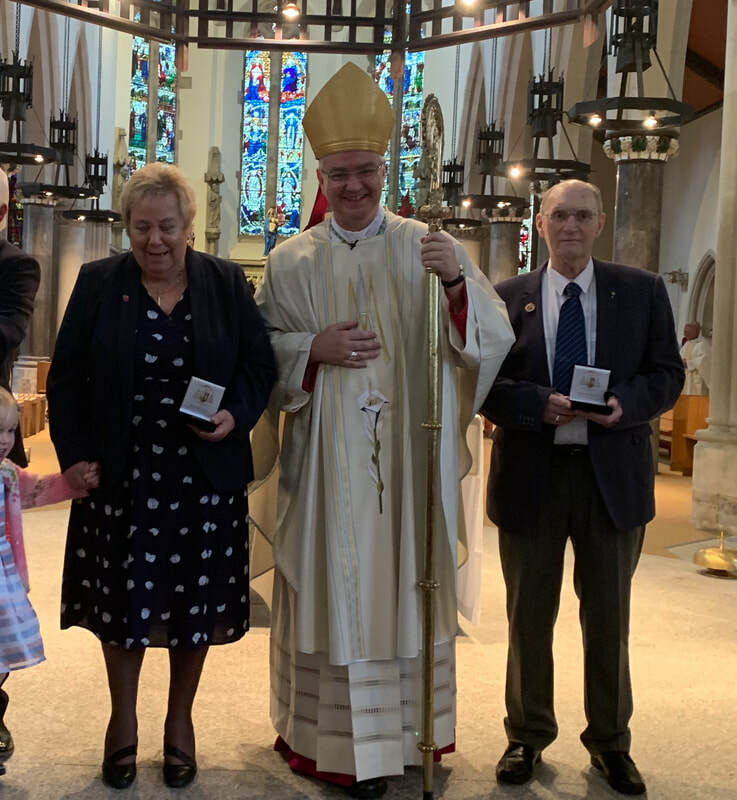 (Above) The awardees with Bishop Mark, after he had presented them with their diocesan medals.